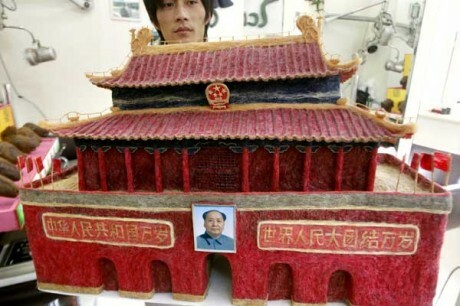 Collection of 'Unusual Designs and Products Created with Hair' from all over the world. 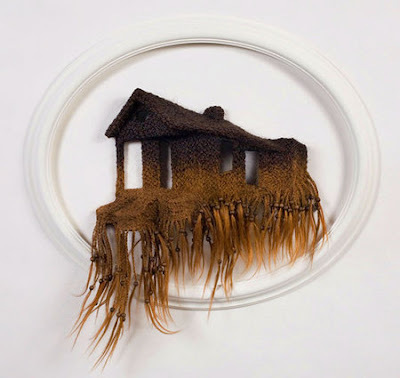 Castle Made From Human Hair: Agustina Woodgate has transformed strands into hair bricks; 3000 bricks were used to construct these castles. 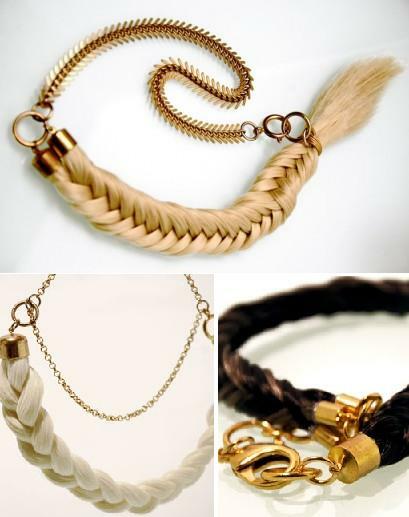 Jewelry Made From Human Hair: This comes from the jewelry collection made from human hair; Kerry Howley, an art student at Middlesex University put together this collection. Hair Dress: A Croatian company made a dress entirely from human hair; designers at the Artidjana Company used 165 ft (50.3m) of blonde hair in the dress. 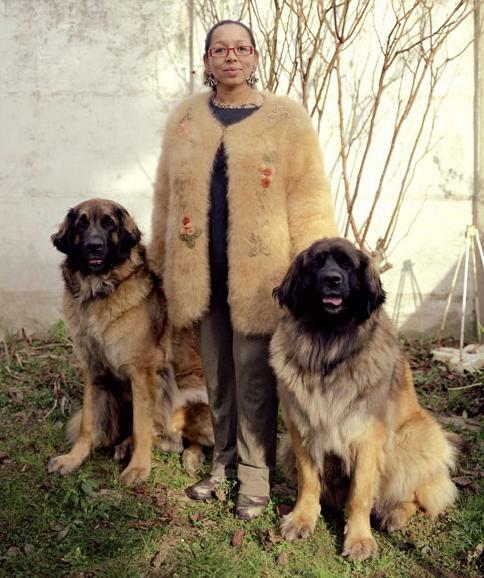 Sweaters Made From Dog Hair: Doumé Jalat-Dehen makes wool out of dog hair and later makes sweaters out of this wool. It's said that it takes about seven years to gather enough dog hair for a sweater. 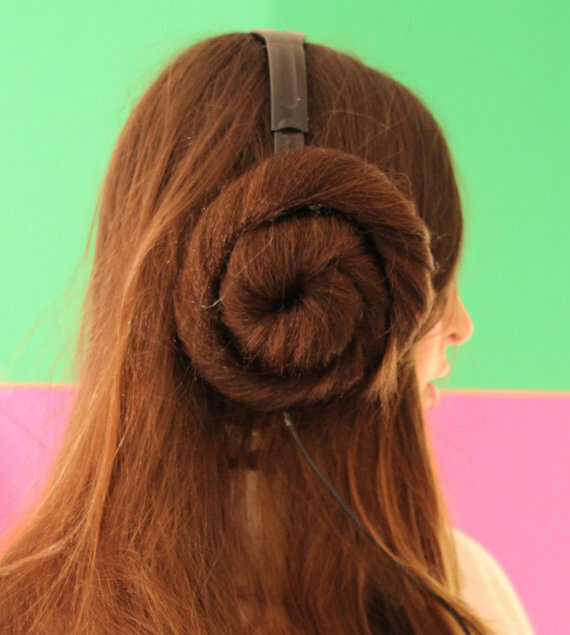 Princess Leia Headphone Covers: These creative headphone covers takes its inspiration from Princess Leia's famous hairstyle, made from synthetic hair. 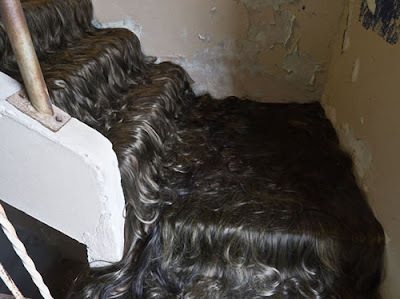 Hair Stairway: Jessica Woh made this art installation with synthetic hair in the Mountainaire Hotel, Arkansas. Chair Made From Human Hair: Former hairdresser Ronald created this chair from 4.5 lbs of human hair cuttings. 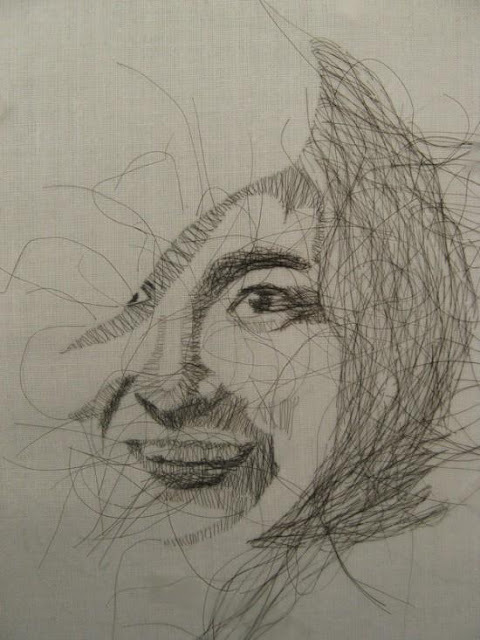 Embroidered Artwork Made From Human Hair: Z Pulido uses human hair instead of the usual thread and creates various works, like embroidered portraits. 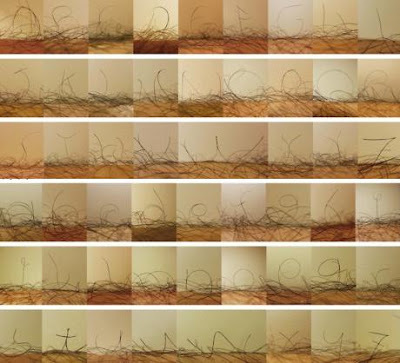 Leg Hair Font: A student at Tama Art University in Japan named Mayuko created this alphabet font from human leg hair. 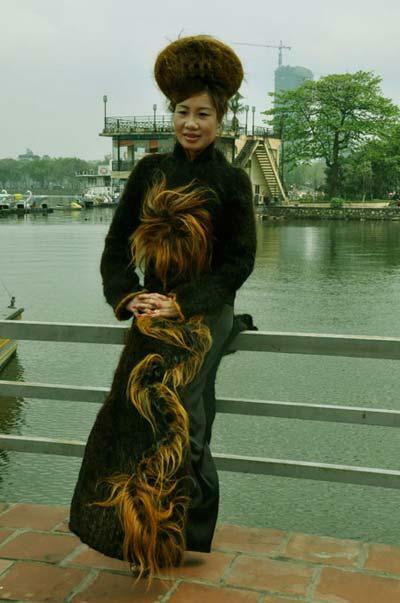 Tunic Made From Human Hair: A unique tunic-like dress made from one million meters of human hair. 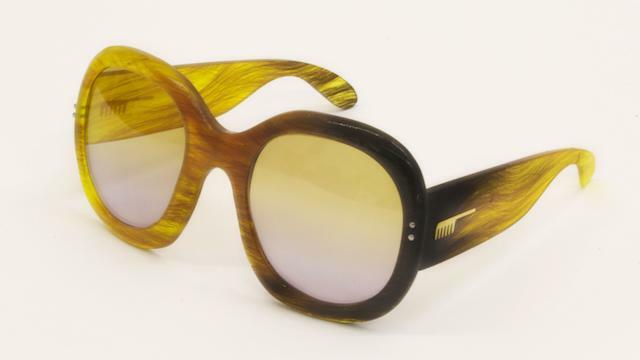 Eyeglasses Made From Human Hair: These glasses by Azusa Murakami and Alexander Groves are made from human hair. 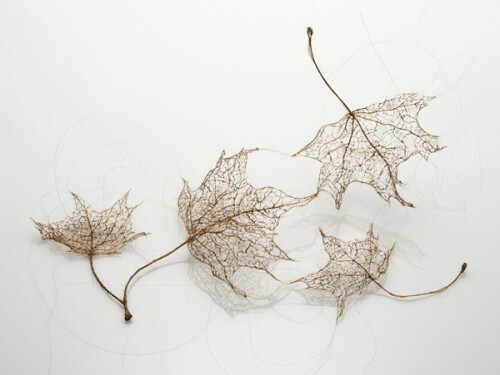 Leaves Made From Human Hair: These delicate leaf sculptures look like the real thing from a distance, but Jenine Shereos made them from hair. 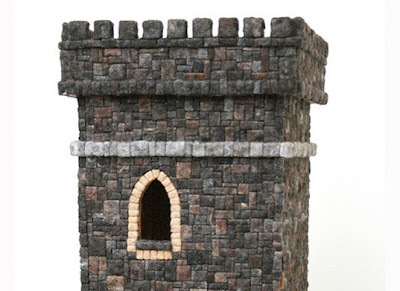 15 Cool Kitchen Gadgets and Useful Kitchen Tools - Part 17. 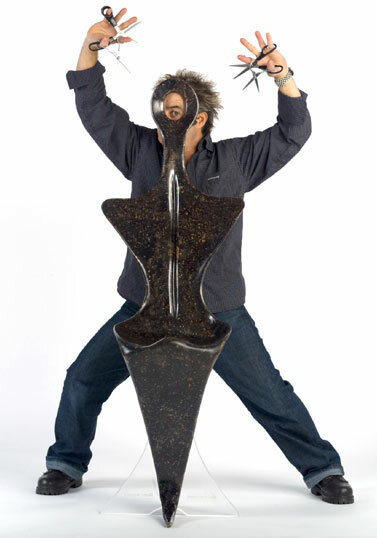 15 Creative Rocking Horses and Cool Rocking Horse Designs. 15 Cool Wireless Speakers and Innovative Bluetooth Speaker Designs.